For the 1963 book, see The Languages of Africa. 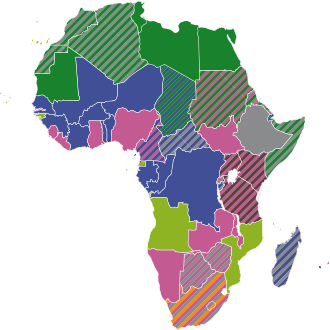 The total number of languages natively spoken in Africa is variously estimated (depending on the delineation of language vs. dialect) at between 1,250 and 2,100, and by some counts at "over 3,000".Nigeria alone has over 500 languages (according to the count of SIL Ethnologue), one of the greatest concentrations of linguistic diversity in the world. However, "One of the notable differences between Africa and most other linguistic areas is its relative uniformity. 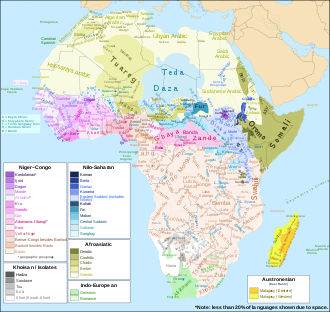 With few exceptions, all of Africa’s languages have been gathered into four major phyla."